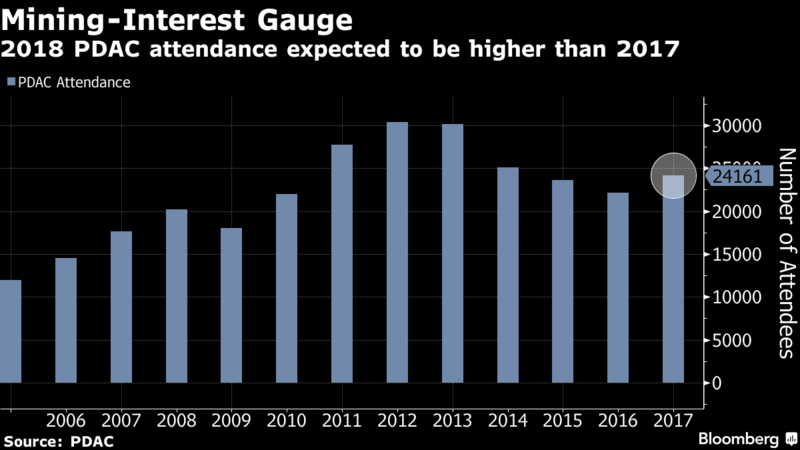 (Bloomberg) — If attendance at the world’s biggest mining conference is any indication, things are looking up for the industry — although capital is still tight, especially for juniors. 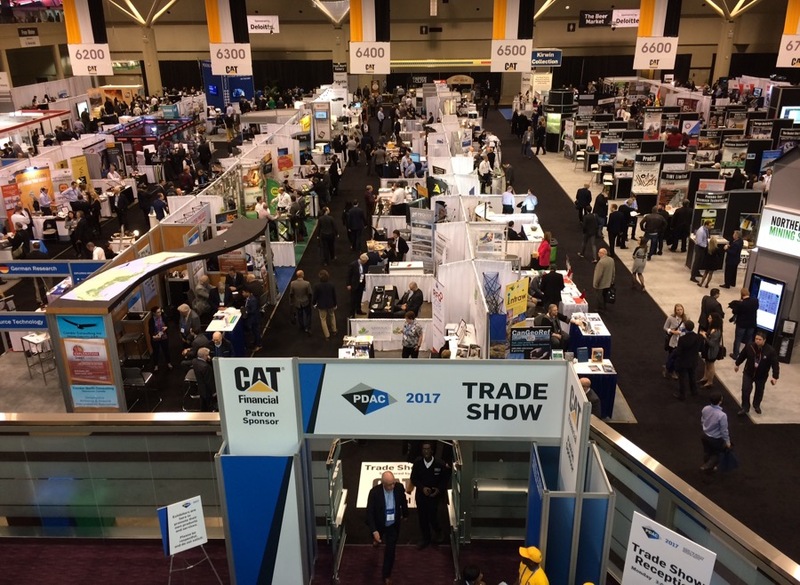 While the official number isn’t out yet, organizers are expecting attendance for the PDAC conference in Toronto to be higher than last year, which was in turn an improvement on 2016. While attendance is still a long way from a 2012 peak before producers were pummeled by a sharp price downturn, this year’s numbers indicate a clear recovery in confidence, albeit not evenly spread across the industry, said PDAC President Glenn Mullan. Many events, including access to an investor exchange where mining companies showcase their assets, sold out early, Mullan said. Floors were noticeably more crowded than in recent years. Themes covered in presentations and discussed on the sidelines included growing competition from exchange-traded funds and flashier commodities like cannabis; still-tight capital markets for juniors; and stirring interest in mergers and acquisitions among larger producers. While 2018 will be better, it won’t be a quantum change from 2017 or 2016, according to Jason Neal, the former co-head of global metals and mining at BMO Capital Markets who now heads TMAC Resources Inc. The biggest issue is there isn’t money flowing to the sophisticated resource investors, he said. Other bankers highlighted a growing valuation gap as momentum-focused investment funds shun juniors in favor of large, liquid stocks.